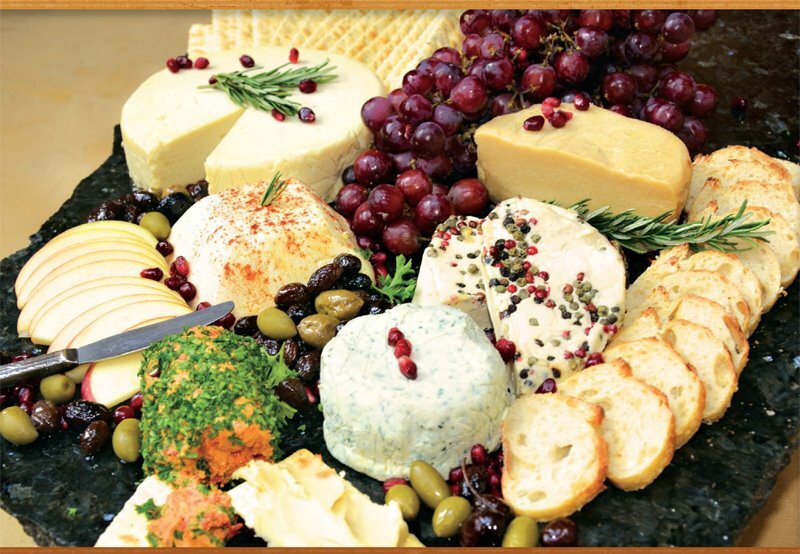 For a lot of vegetarians, the one thing which keeps them from going vegan is cheese. I’m not going to deny it: cheese tastes awesome. And, while there are starting to be more options for vegan cheese in the supermarket, these vegan cheeses don’t come close to the real thing. Plus, many of them aren’t exactly healthy (not that real cheese, with its hormones, antibiotics and pus, is healthy). That is why the cookbook Artisan Vegan Cheese by Miyoko Schinner is so exciting. Miyoko spent what must have been a lot of time experimenting in the kitchen to master the art of vegan cheese. These aren’t your standard vegan cheese recipes! There are recipes for aged, air-dried, meltable, and sliceable cheeses – all 100% vegan, and surprisingly not that difficult to make. I remember my first attempt at making vegan cheese. It involved some veggie butter, nutritional yeast, liquid smoke, and various spices. The sauce which resulted tasted okay, but was hardly anything like cheese. Later, I experimented with nut-based cheeses. But, nut cheeses are usually raw and won’t melt on your pizzas or casseroles. Miyoko is all too aware of these problems with traditional vegan cheese recipes and has done a good job solving them. You can tell she spent a long time researching traditional cheese-making methods in order to find vegan ways of replicating them. But she has also always opted for the easiest route. So, you don’t have to worry about separating curds from liquids. Instead, you just add some agar agar or another thickening agent to make a firm cheese. Many of the vegan cheeses in the Artisan Vegan Cheese cookbook gain their taste from aging or culturing, not the addition of something acidic like lemon juice or vinegar. That means the cheeses have a lot more flavor and depth. Of course, this also does mean you’ve got to wait a few days before you can eat the cheese. But you will be rewarded for your patience with some of the most friggin’ fantastic vegan cheese you’ve ever eaten. 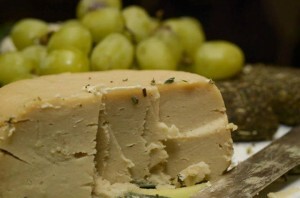 *The vegan cheeses usually have a shelf life of several weeks and can last for months in the freezer. So you can just age a big batch and store it for later. 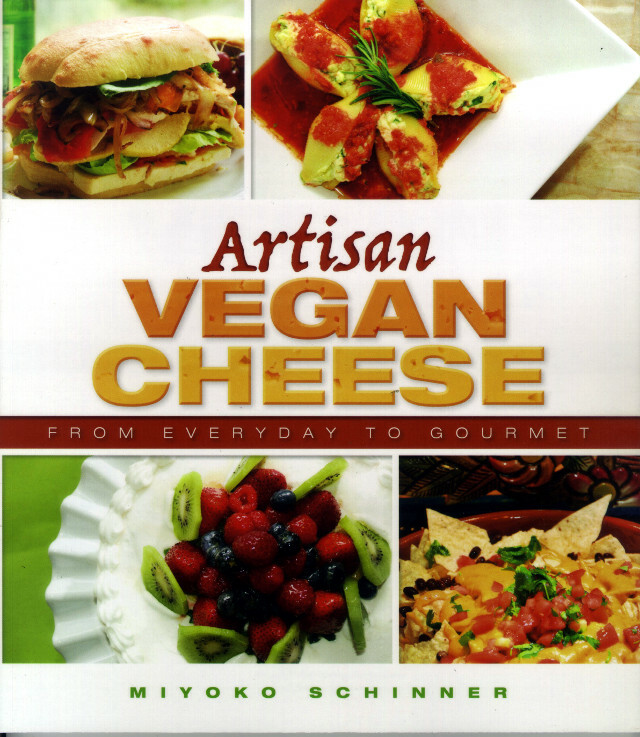 A lot of the recipes in Vegan Artisan Cheese are made with culturing. Normally, this would mean using a probiotic of some sort. But, thankfully, Miyoko knows that vegan probiotics are hard to find and can be pricy. So, instead, she uses vegan yogurt or rejuvelac as starters. She even tells you how to make your own rejuvelac, which is really easy. You can also buy rejuvelac in most health food stores. 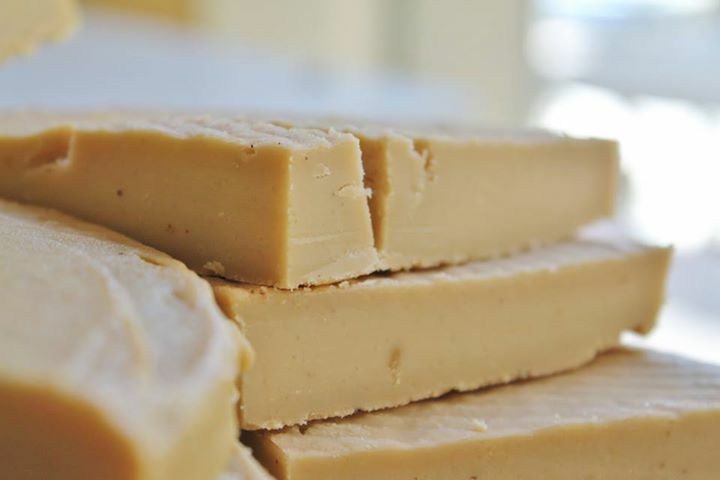 Rather than have you use a cheese press or worry about some complicated process to get the vegan cheeses to firm up, Miyoko uses thickening ingredients. Most of these you can find in your local supermarket or health food store, like agar agar, xanthium gum, carrageenan, or tapioca flour. 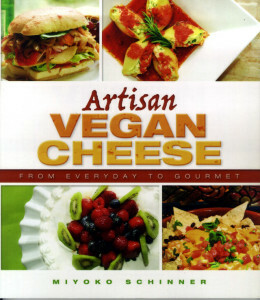 In Artisan Vegan Cheese, you will find dozens of recipes for vegan cheese, including variations on each type of cheese. The last three chapters of the book also give you amazing recipes for using the vegan cheese, such as Artichokes Stuffed with Almonds and Cheese and Fluffy No Bake Cheesecake. Sweet Cheese Dishes and Desserts: Raspberry mousse, cheesecakes, tiramisu – need I say more? This recipe comes straight from the Artisan Vegan Cheese cookbook. It is from the “Almost-Instant Cheeses” chapter, so it doesn’t have as much depth as the aged and cultured cheeses. But it is still incredibly yummy and is a great vegan cheese recipe to start with. Enjoy! Process the Ingredients: Transfer to a blender. Add the nutritional yeast, rejuvelac, miso, bell pepper, salt, mustard and optional oil. Process until smooth and creamy. Form the Cheese: Pour the mixture into a glass or nonreactive metal mold and smooth the top. Cover and let cool completely at room temperature. Refrigerate for at least 6 hours, until firm. Wrapped in plastic wrap and stored in a ziplock bag, Oat American Cheese will keep for about 2 weeks in the refrigerator or 4 months in the freezer. You can buy Artisan Vegan Cheese here. It is available in paperback for $13.31 and on Kindle for $7.69 (current prices).